I did it again. I couldn’t help but make ANOTHER orzo dish this past week. I’m glad I did because it sure was delicious. 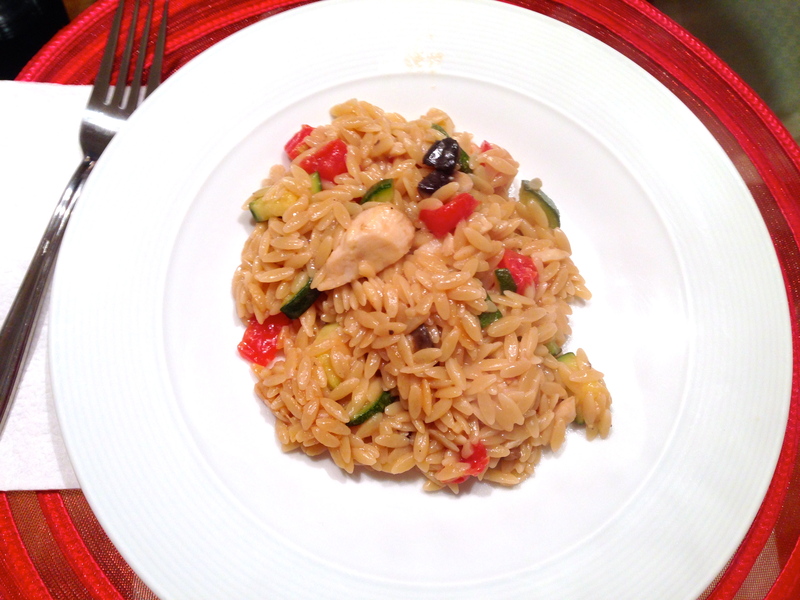 This time I went with something a little hardier: Creamy Orzo with Chicken. I adapted the original recipe from the blog, ‘Table for Two”. (Click the link for the list of ingredients.) When I say ‘adapted’ I really mean I only changed the chicken sausage to actual chicken. Other than that, I kept everything the same. Chop chop. Always gotta have a glass of wine while you cook. In a large pot, over medium high heat, heat 1 tbsp. of olive oil and add in the garlic. Cook until fragrant, about 1 minute. Add the onions and zucchini. Cook, stirring occasionally, until tender, about 4-5 minutes. 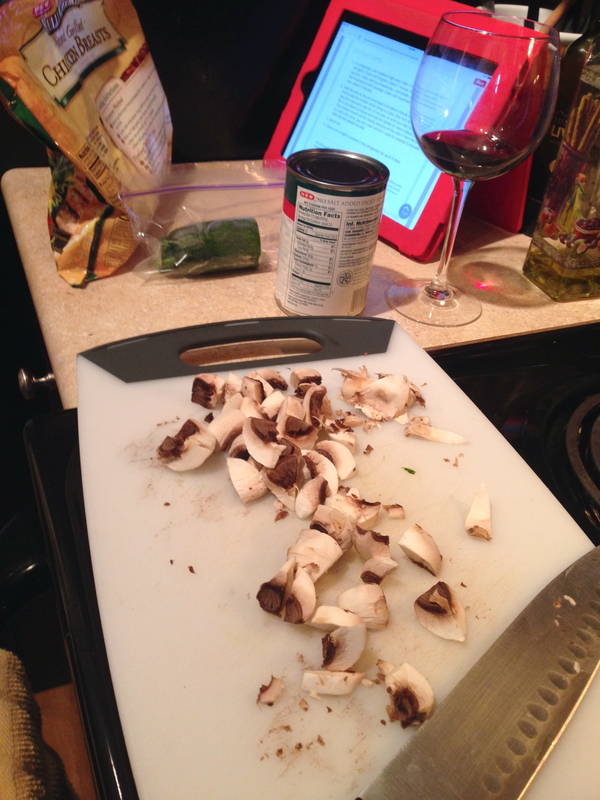 Add the mushrooms and sausage. 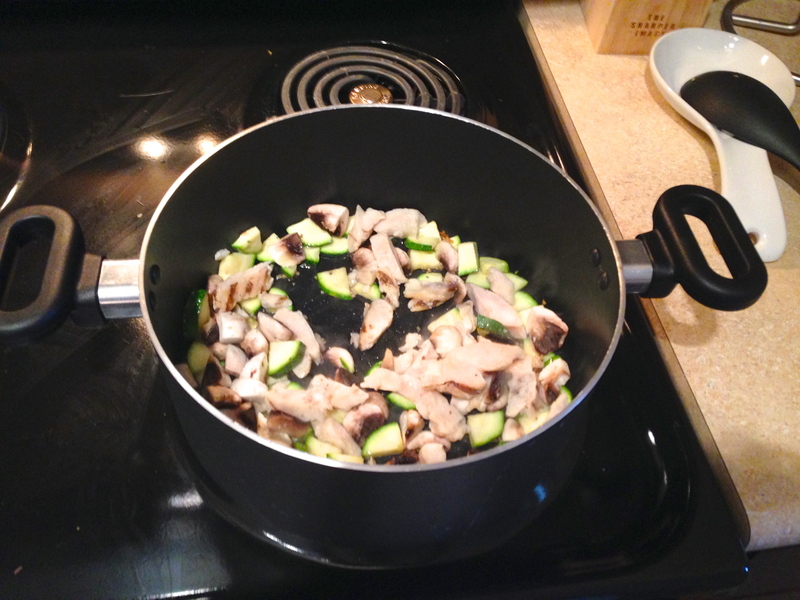 Cook until mushrooms have reduced in size, about 2 minutes. Throwing everything in the pot. 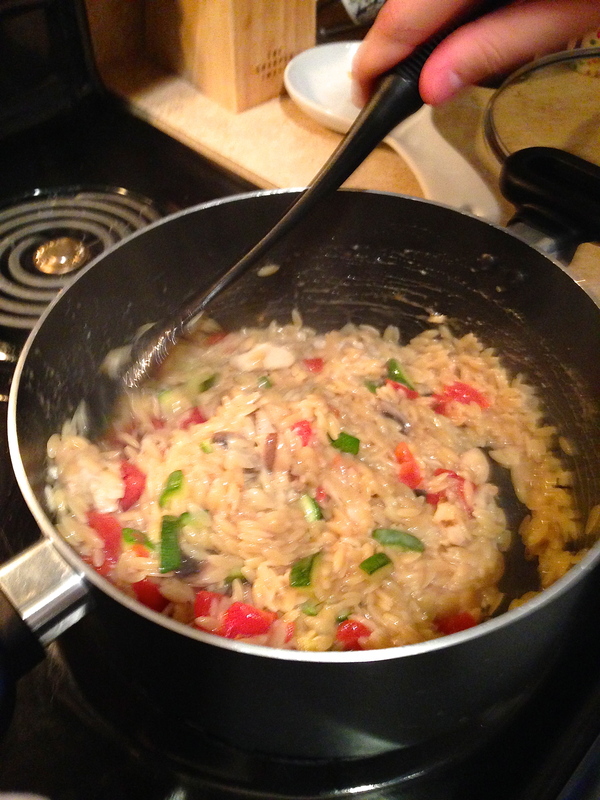 Add the orzo to the pot and toast it for about minute, stirring constantly. Gently add the chicken stock, bring to a boil, then turn down the heat to low and cover and cook for 10 minutes, or until orzo has cooked through. 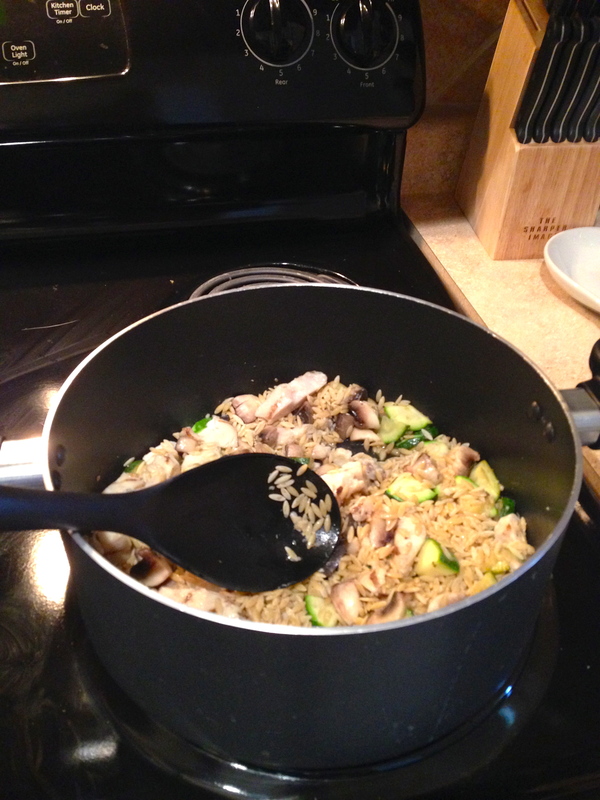 Stir in the uncooked orzo. Add chicken stalk and stir. Let it cook for about 10 minutes. Now that I think about it, I probably should have served it in a bowl, but I didn’t have a bowl big enough to hold the amount I wanted. Sad, but that’s how good this recipe turned out. Hope you enjoy! *Sorry about the terrible iPhone photos. The lighting in my kitchen is sad. Good news, though. I’m shopping around for a REAL camera!